Fred Perry has reached an agreement with the family of Amy Winehouse to proceed with the two remaining collections the singer collaborated on prior to her untimely death last month. According to WWD, the Fall 2011 collection has been released online today, with spring 2012 planned to follow as wholesale. All income she was set to receive will be donated to the soon-to-be-established Amy Winehouse Foundation. Winehouse's father, Mitch Winehouse, issued the following statement, addressing her dedication to the project, which is apparent in the scope of work she completed so far in advance. "Amy loved working on both collections, and would want them to be made available. 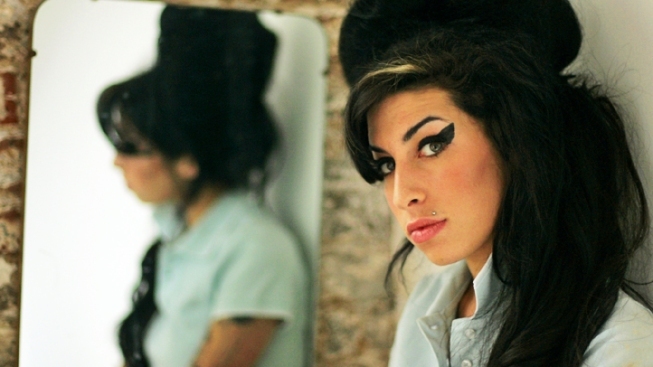 All the money we make and the donation that Fred Perry will give will go straight into the Amy Winehouse Foundation, which we are setting up to help children and young people in her name." Winehouse's singular stage style is, according to a statement by Fred Perry, "stamped across each piece" of her collections for the label, which reflect an everyday version of that preppy-meets-'50s-pin-up aesthetic. Fall pieces launched today on the Fred Perry website, and center around a houndsooth motif on curve-hugging mini-dresses and cap-sleeve polos. Rounding out the collection are ladylike driving gloves, patent-leather and checkered belts and a retro bowling-style handbag in a black, white and gray palette.